1.Cut any length metal board more safety and easily. 2.Separates long boards directly,without turn direction . 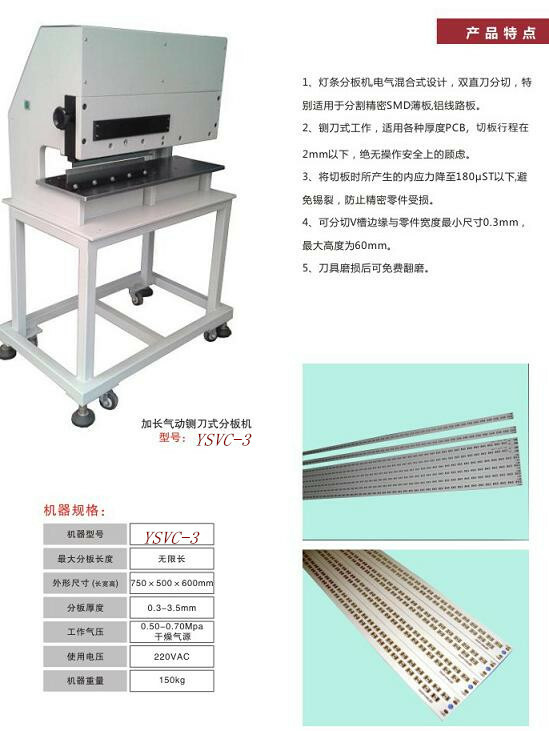 1.The machine was designed to depanel pre-scored PCB carefully, without bending and tension stress. 2.Even sensitive SMD-Components like ceramic capacitors, will not be damaged by the depaneling process, or thin board even to 0.3mm can be worked safely. - Delivery : within 7 days after receipt the payment.